This booster will be based on the units that Aichi and his friends face in the Asia Circuit. 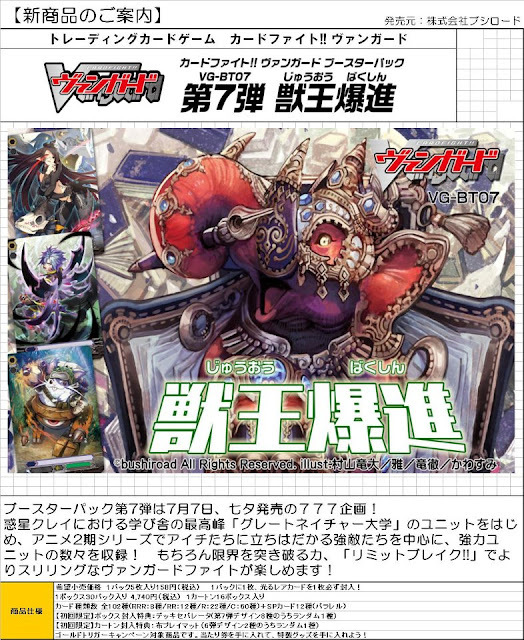 It will feature the return of Great Nature and Oracle Think Tank; the former clan had its growth initially halted at BT02, and returns as a focal point for the seventh booster pack. Previous Great Nature cards have centered around "overloading" rearguards with power boosts so that they retire at the end of the turn. It is unknown how Bushiroad will continue to build on this theme. "In response to Ren's overwhelming strength of his PsyQualia, Aichi was forced to use his own even though he tried to suppress it. At last, the truth will be revealed. What is the true purpose of PsyQualia...?"